After graduating from Film school Simon went on to write and direct a handful of short films – one of which, Wired immediately prompted British Screen to invest in his feature length project LIGHTHOUSE. With the additional help of Winchester Films the $2.5m film went on to win prizes at many acclaimed European film festivals. The New York Post called it ‘as suspenseful as anything in recent history’. Quoted as having directed ‘one of the scariest low budget movies of the year.” Simon joined with Infinity Producer Mark Stothert to direct his first commercial, a clever take on Sony Playstation’s Double Life for the Lothian Health Board. It has been recognized by Shots for its strong impact and he was selected for most promising newcomer. LIGHTHOUSE caught the eye of Saatchi and Saatchi’s Bob Isherwood at their New Directors Showcase in Cannes, who says ‘Few films demonstrate so effectively how tension gets attention. The tension is dynamic’. Simon has gone on to direct commercials for British Heart Foundation, British Airways, Royal Sun Alliance, Postbank, the Raindance Film Festival and many more. It was after a long three years working on the science fiction movie The MUTANT CHRONICLES, produced by Edward R Pressman that Simon began developing his passion project Edie. Simon splits his time between Berlin and London but often can be found in the mountains of Scotland. He is represented by the Dench Arnold Agency in London and the United Talent Agency in Los Angeles. More of Simon's work can be found on his website HERE. After doing a brief spell in an advertising agency Mark went into advertising film production working with director Terry Stone as his assistant, graduating to the position of producer in only nine months. They then joined Haggard and Philips production company where he produced for Piers Haggard and Chris King; here he met Director John S Clarke. After a year Mark and John left to form John S Clarke Productions where as a team they worked for fifteen years producing a multitude of award-winning commercials, traveling the world and producing a body of creatively acclaimed work with challenging logistics. Working for clients including BMW, British Airways, Vauxhall, BT, Shell and Sainsbury’s amongst others. Mark left John S Clarke in 2000 to start Infinity where in a short time he has built up a strong group of experienced, talented directors. Infinity continues to grow in output and reputation. Throughout the past 20 years, there are probably few people in the UK who have not heard a theme from one of Debbie’s films or television productions. Whether it is watching Stephen Fry bring to life Oscar WILDE for the big screen, hearing the latest political commentary on a Sunday morning with Andrew Marr, or revelling in the Tudor world of Thomas Cromwell in WOLF HALL, Wiseman has gifted us iconic themes of beauty and passion, love and laughter. Her credits, over 200 of them, for the big and small screen, include WOLF HALL, JUDGE JOHN DEED, WILDE, HAUNTED, OTHELLO, TOM & VIV, JEKYLL, THE INSPECTOR LYNLEY MYSTERIES, THE PASSION, THE GUILTY, BEFORE YOU GO, ARSENE LUPIN, TOM’S MIDNIGHT GARDEN, LOST CHRISTMAS, THE PROMISE, A POET IN NEW YORK, THE ANDREW MARR SHOW, THE CORONER and EDIE director Simon Hunter's first feature LIGHTHOUSE. 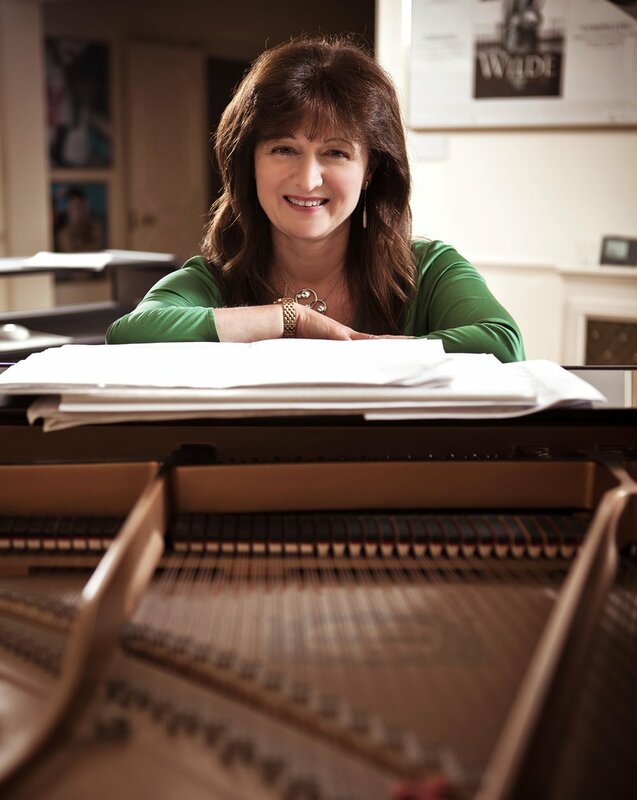 Debbie is a Visiting Professor at the Royal College of Music and is Classic FM's composer in residence. Some of Debbie's work can be heard on her website HERE. A graduate of London Film School, alongside EDIE (2017), Elizabeth's credits include graduation short FUGUE (16mm, Galway International Film Fleadh) and The MINIATURE MAKERS (2017), an arts/culture documentary filmed in Chicago, the UK and Ireland. She is currently developing a number of projects including an African-based feature film with Simon Hunter. You can contact Elizabeth directly via her website HERE. August is an Icelandic DP who studied Cinematography at The American Film Institute in Los Angeles, soon after he worked up very quickly in to the Camera Department as a loader and then into focusing. August began shooting music videos as well as live concerts for artisits including Guns N’ Roses and Nirvana. August toured with the American rock band Guns N´ Roses worldwide for three years filming a documentary about the rock stars life style, including 130 Guns N' Roses live performance multi camera concerts. August has shot four feature films, Fiasco (Dir. Ragnar Bragason), Dramarama (dir. Dagur Kári, Ragnar Bragason to name a few), Pop In Reykjavik (dir. August Jakobsson) and Levottomat (dir. Aku Louhimied). August has worked on commercial campaigns for MBNA, Porsche, Mercedes-Benz, Samsung and Ford. You can see more of August's work on his website HERE. Olly Stothert began his editing career in London and now he takes his work all over the world. Cutting his teeth in Soho’s ad-land, he has worked on many UK and international commercials and his past clients include Audi, Gillette, Axe and Vodafone. Stothert moved in to feature films in 2013 with the award wining TRAFFICKER (2013), the award winning UNLUCKY PLAZA (2014), Hollywood horror THE OFFERING (2014), the Pakistan and Urdu film MY PURE LAND (2015). Olly is also a founding member of the editing collective FLOCK creating new waves in post production. You can view lots more of Olly's work on his website HERE.